Might as well get a bottle for yourself while you’re at it. Father’s Day is fast approaching — June 19! — meaning it’s time to figure out what to get pops. A bottle of some fine alcoholic beverage might feel like a cliché, but that’s only because it’s bound to go over well. This year, however, skip the stereotypical single malt and get Dad a bottle of something unexpected. 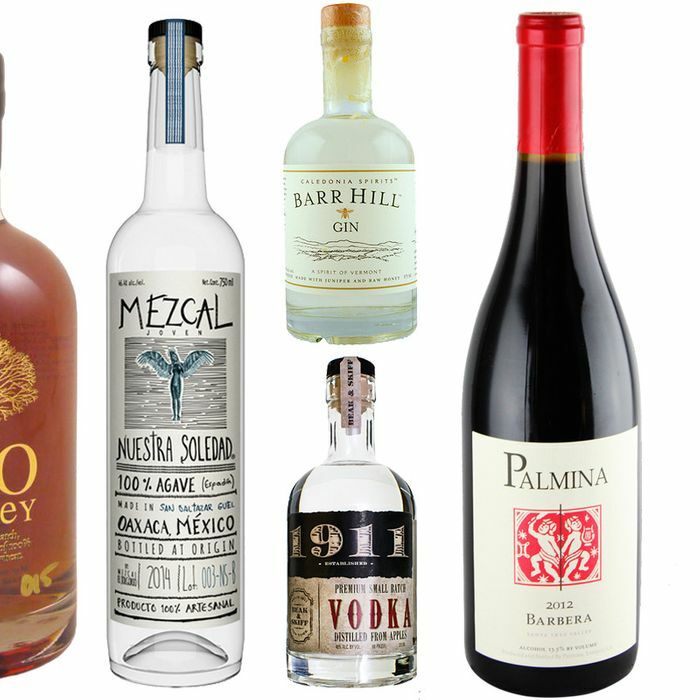 Here are a dozen options for spirits, wine, and beer that will let your father know how much you care. This blend of wheat whiskey and spicy rye bourbon is like the be-all and end-all of America’s brown spirits. If you have a dad who knows what Pappy even is, this is the bottle to get him. Upstate distillery 1911 Spirits uses New York’s excellent apples, grown on its own 105-year-old orchard, for this vodka. Distilled four times, it has less of the spirit’s typical burn and a subtle caramel flavor. Add some soda water, and a porch, and you’re set for the summer. This curvy, decanter-shaped bottle is a worthy centerpiece for any liquor cabinet. As it happens to be, Willet Pot, also known as Kentucky Bourbon Distillers, makes a mean bourbon. An excellent deal at this price, it’s spicy and easy on the finish, without a particularly strong after-bite, making it a solid choice for sipping neat or in a drink. Vermont’s Caledonia Spirits keeps its gin very simple, made with nothing but corn liquor, juniper, and, an unusual but key addition, raw honey added after distillation that rounds it out while lending a touch of sweetness and unexpected floral notes. If your dad’s a fan of a good G&T;, he’ll love this. This single-village mezcal from the celebrated El Jolgorio is made from Espadín agave. It’s floral and herbaceous, but the agave isn’t roasted too heavily, so while it’s complex in flavor it’s not aggressively smoky. Plus, the bottle will just look really cool on his liquor shelf. Summer is the season for making like the Italians and drinking a spritz or an Americano, the low-ABV Italian cocktail of club soda, vermouth, and Campari. Cappelletti Aperitivo Americano Rosso is similar to Campari, though just a bit sweeter and a lot more interesting. The basic premise is that cachaça is like rum’s funkier, slightly rougher Brazilian cousin. It is also the base of another essential and easy-drinking summer cocktail: the caipirinha, which you should make for your dad ASAP. Santa Barbara’s Palmina produces distinctive California wines with traditional Italian grapes. For this bottle, they use Barbera grapes grown in cool-climate vineyards to create a Lambrusco that’s fruity and refreshing, yet still substantial. And it’s a great way to start off basically any summer evening. Marisa Cuomo’s Furore Bianco smacks of summer. It’s made with Falanghina and Biancolella grapes grown in volcanic soil in the sun-soaked town of Furore along the Amalfi Coast. The result is a wine that’s unusually crisp and almost citrusy, excellent for grilling or when hanging out at the beach. Westbrook’s lemony Gose — a sour, old-school German style — became the beer geek’s sud of the summer last year after a glowing New York Times write-up let everyone in on the secret. This is one that deserves all the praise and then some. It’s salty and juicy, like lemonade made from preserved lemons, and extraordinarily drinkable. Maybe your dad isn’t so into salty beer. No worries. After years of being shunned by hops-mad craft brewers and their devotees, pilsners — like vodka, derided for its purity — are finally being embraced. Firestone Walker makes one of the finest craft pilsners around. It’s hoppier than a normal pilsner, but maintains the beer’s essential crispness.